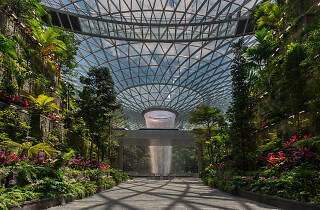 After years of anticipation, the majestic Jewel Changi Airport opens its doors to the first visitors this week. 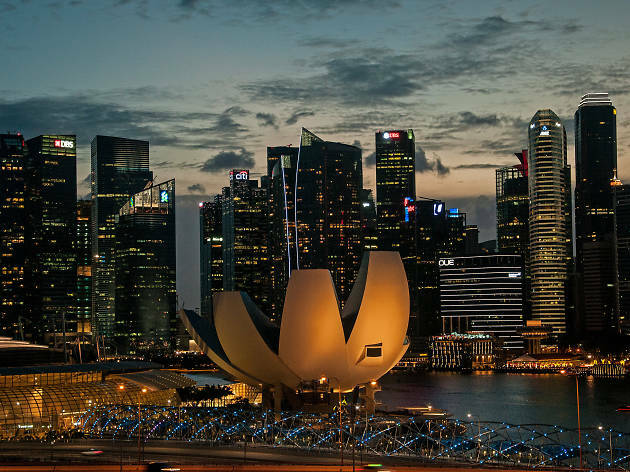 The $1.7 billion project began in 2014 and was helmed by Safdie Architects, the same folks behind the iconic Marina Bay Sands. 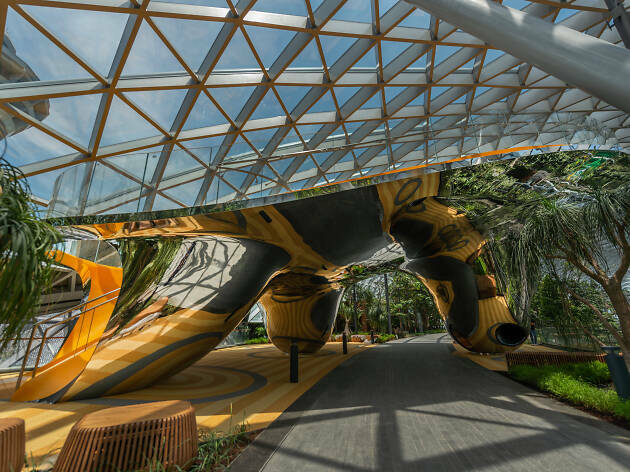 The result is a stunning glass and steel dome development which blends gardens, attractions, activity areas, retail, dining and more. 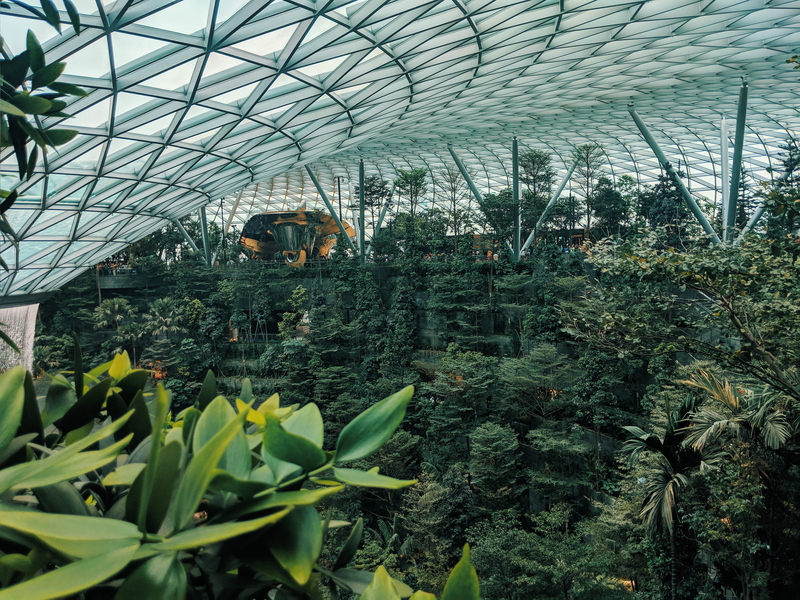 As if Changi Airport couldn't be more impressive, Jewel is set to be a coveted stopover destination for travellers coming to Singapore. Real talk, you don't even have to leave the airport because you can get all you need in this gem. 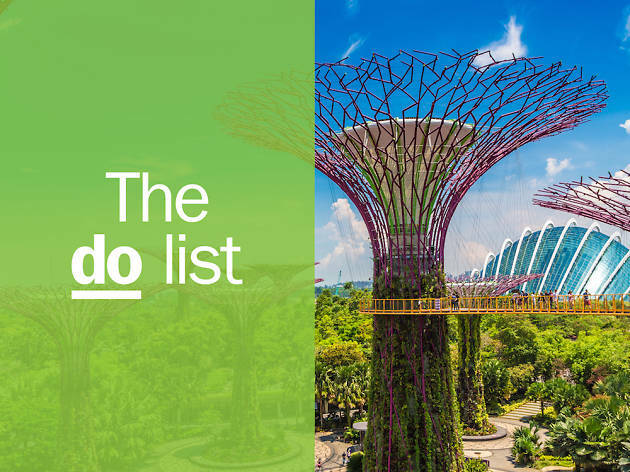 As expected, queues for the eateries and shops can get a little bit out of control so before you drop by the spanking new Jewel Changi Airport, here's a guide to what to check out, what to eat, and also where to queue. Escape the busy airport and into a lush green sanctuary that is the Shiseido Forest Valley. Accessible from every level, the tranquil retreat is a reminder of Singapore and a garden city even before you step out of the airport. The forest valley is also the best place to stare in awe of the HSBC Rain Vortex, the largest indoor waterfall in the world – and the crown jewel of well, Jewel Changi Airport. 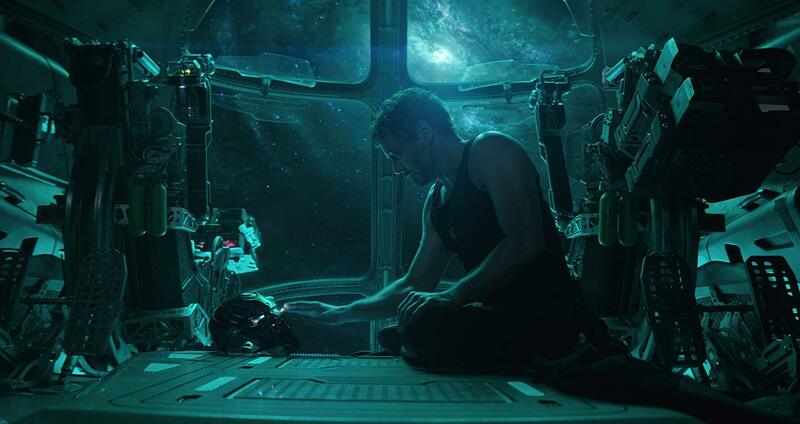 Live large and catch a movie at the Shaw Theatres in IMAX. 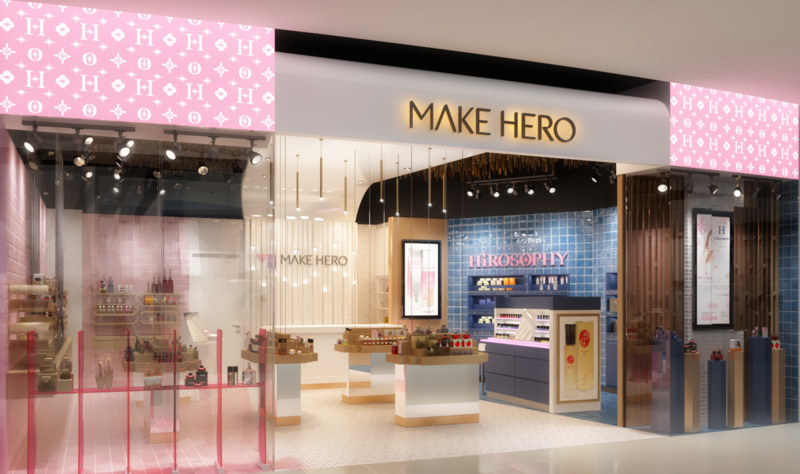 Whether you're in Singapore on transit or an Eastie spending a weekend at Singapore's newest mall concept, watching a film is the best way to kill some time. Choose from the latest releases and end the day on a high, dining at one of the eateries in the mall. Immerse yourself in the recreational wonderland that is the Canopy Park located on the top floor of Jewel. Leave your fear of heights at home and get your heart racing bouncing on nets and going down giant slides, all while taking in the views. 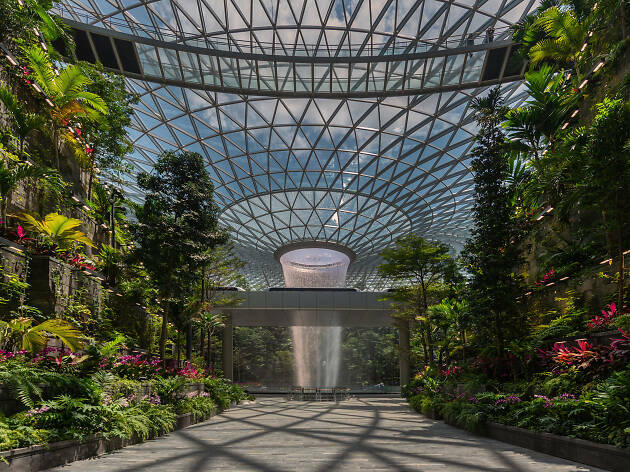 A world away from all the shops, the Petal Garden at the top of the Jewel Changi Airport is where you can enjoy creative displays of seasonal flowers from around the world. 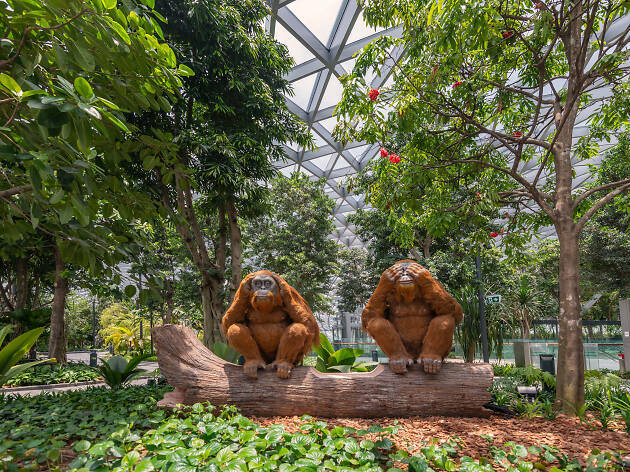 The garden in bloom will also feature some interesting installations making it one of the more Instagrammable spots in Jewel Changi Airport. 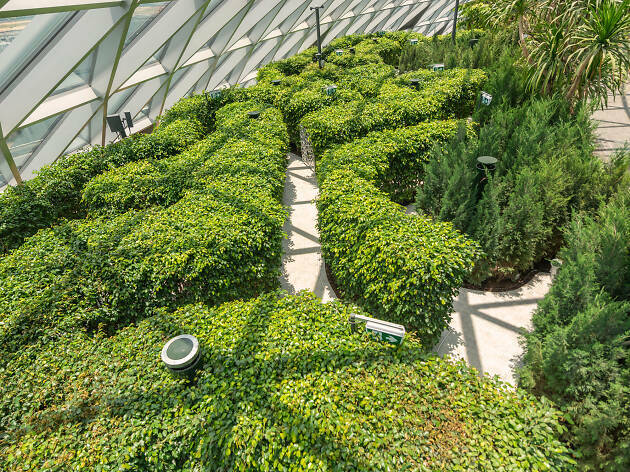 Weave your way around the largest hedge maze in Singapore. Don't get too cocky, we heard that you should allow yourself at least 30 minutes in the maze. 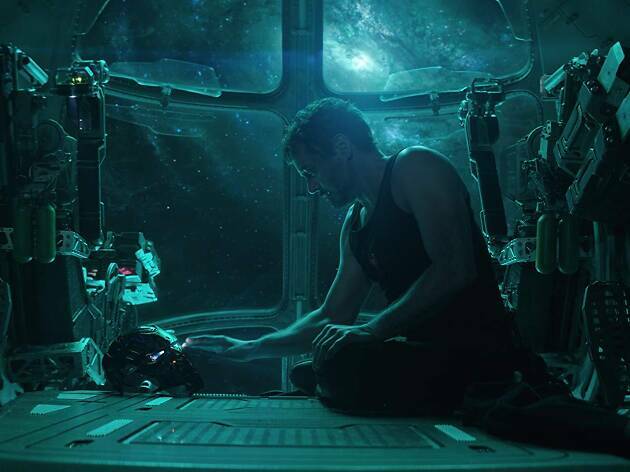 At the core of it is the watchtower where you will be rewarded with some of the best views. 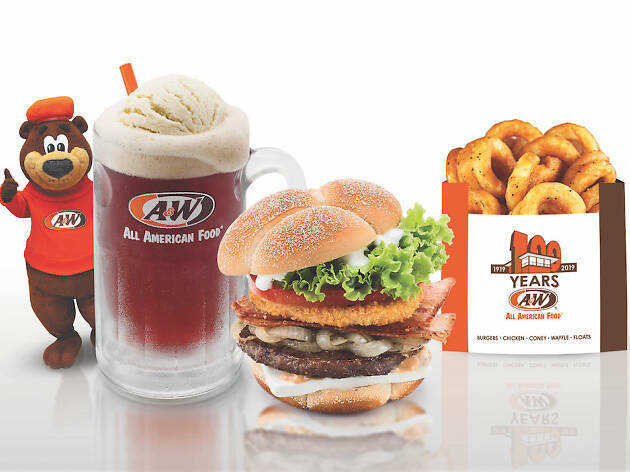 After a long sixteen years since its departure from Singapore, A&W returns to make our Coney dog and root beer float dreams come true. 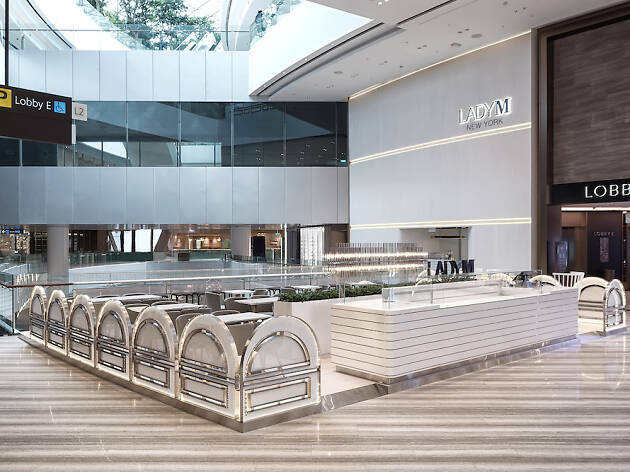 Located at basement two of the new Jewel Changi Airport, the 80-seater joint is open 24 hours a day, seven days of the week, serving both famished international travellers and locals looking for a hot of nostalgia. All its classics are on the menu, including the famous root beer float ($3.50), chicken or beef coney dog ($5.20) and curly fries ($3.60). 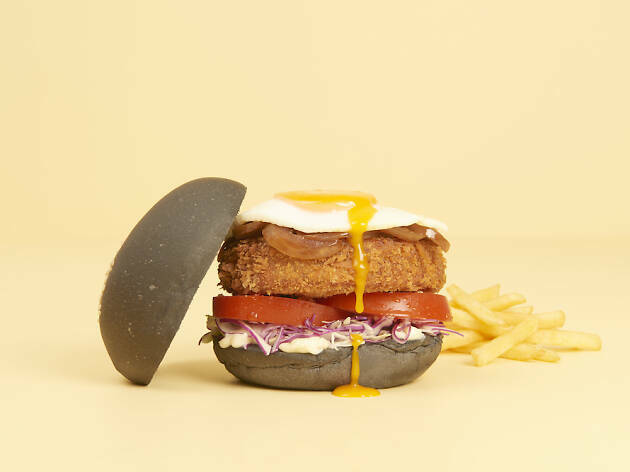 It also includes some new-to-Singapore creations that have become hits around the region. 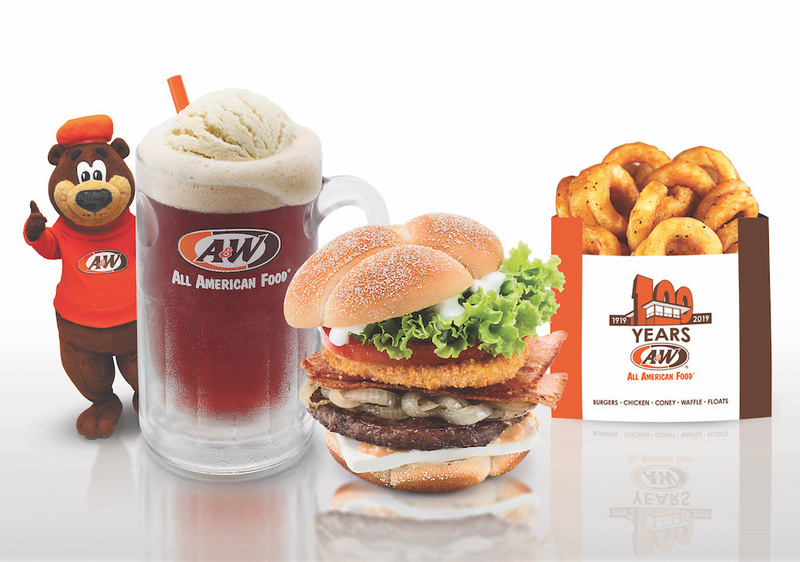 There's the Golden Aroma Chicken ($3.20) from A&W Indonesia and Cream Cheese Chicken or Beef Burger ($4.90), which are popular in its Okinawa outlets. Shake Shack finally makes its Singapore – and Southeast Asia – debut at Jewel Changi Airport on April 17. 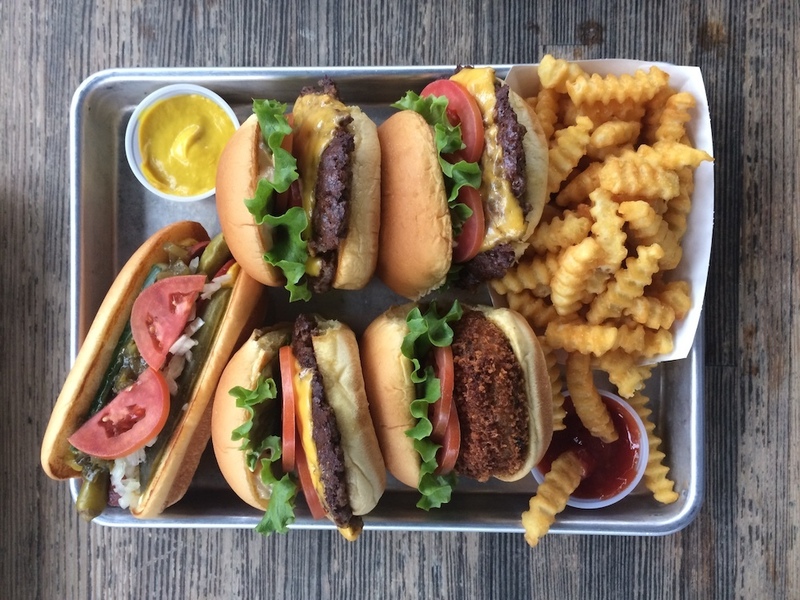 Find out why this New York-born burger brand has grown to cult status despite its humble origins as a hot dog cart by tasting the difference. It uses 100 percent all-natural Angus beef to make the ShackBurger ($9.20/$12.70), its signature cheeseburger crafted to perfection with soft potato buns, lettuce, tomatoes and its secret ShakeSauce. For those of you who like things over the top – we know we do – get the Shack Stack ($14.30), which comes with an additional Shroom Burger layer of deep-fried crusted portobello mushroom stuffed with colby cheese, monterey jack and tilsite cheese. The Singapore outlet also features some exclusives like the Pandan Shake ($7.80), a pandan, coconut and vanilla ice cream shake topped with gula melaka crumble – think kaya toast or gula melaka as a thick and creamy beverage. A visit to Shake Shack isn't complete without a concrete for dessert and the SG outlet is home to the Jewela Melaka ($7.50/$9.50), a vanilla custard blended with coconut salted caramel, shortbread, gula melaka and Lemuel chocolate chunks – if that name looks familiar, it's because Shake Shack works with home-grown brands like Lemuel, Plain Vanilla and Common Man Coffee Roasters for some of its creations. 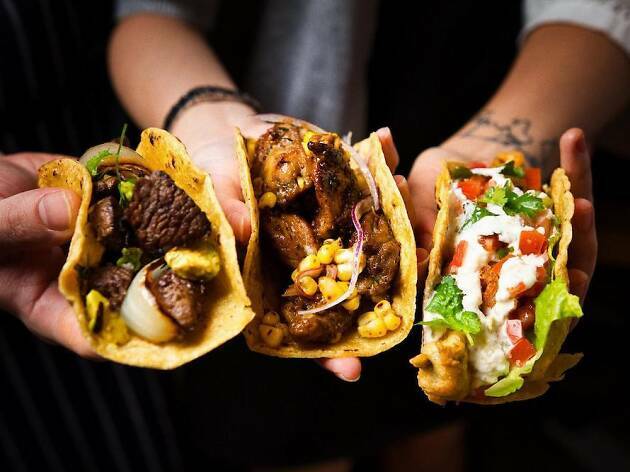 Helmed by chef Daniel Chavez, the culinary mastermind behind Ola Cocina del Mar and Tono Cevicheria, Tonito is an all-Latin American dining experience where you can savour dishes from Mexico, Brazil, Cuba, Colombia, Argentina and beyond. 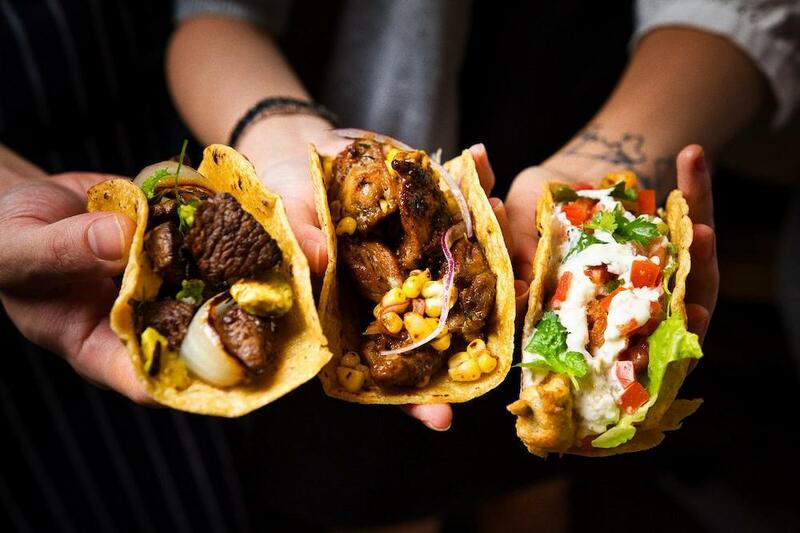 As Mexican folk music plays in the background, tuck into hearty plates of tacos, quesadillas and anticuchos, Peruvian-style grilled skewers while soaking in the atmosphere and the majestic view of Jewel Changi's indoor waterfall. 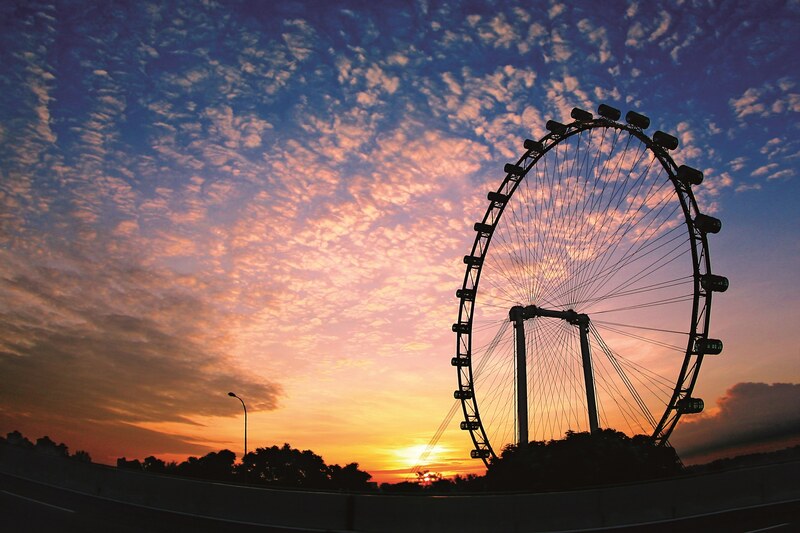 Hot tip: dine between 7.30pm to 8.30pm to catch the five-minute light and sound show. This isn't your regular beer garden. 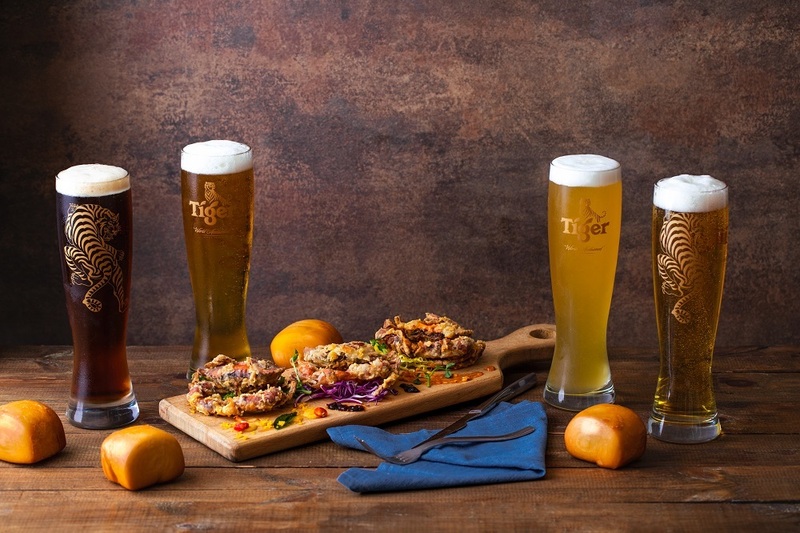 Tiger Street Lab is the brand's first global experiential concept store where visitors can taste the flavours of Singapore, ranging from beer and food to fashion and design. It's the only place where you can try seasonal Tiger brews, the first is the Orchid ($10), a black lager infused with our national flower. What better to pair it with than with some local food? 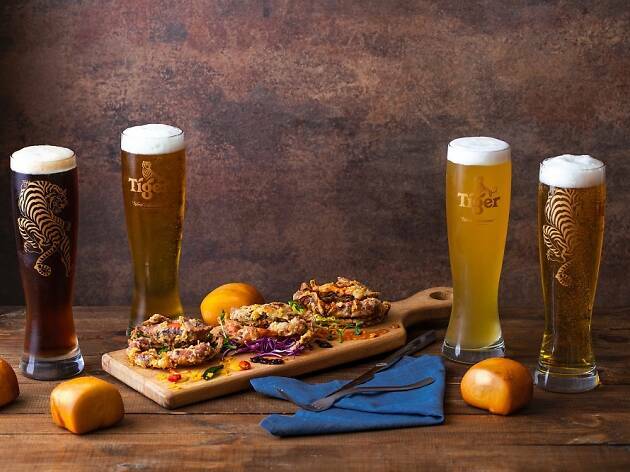 The brand is partnering up with Keng Eng Kee Seafood to offer zi char favourites like moonlight hor fun ($10), coffee pork ribs ($15) and chicken cutlet ($18) doused in a Tiger Lemon Radler sauce. Before you leave, don't forget to make your own personalised beer bottle label. All you have to do is head over to the interactive touchscreens and choose from a couple of exclusive designs. You label is printed on the spot so you can savour and enjoy. 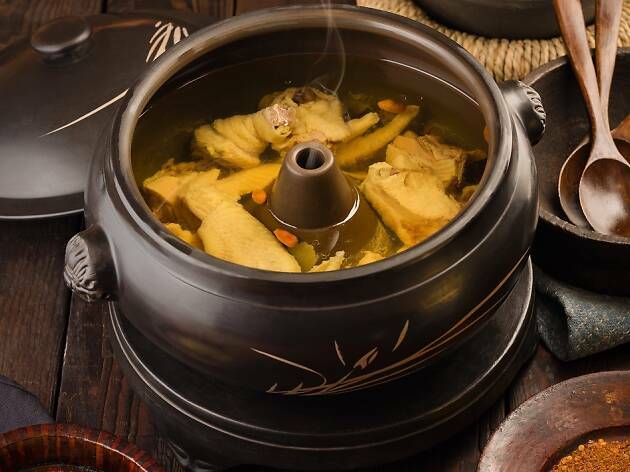 Taste the flavours of Southwestern China at the largest Yunnan food and beverage chain in the world. 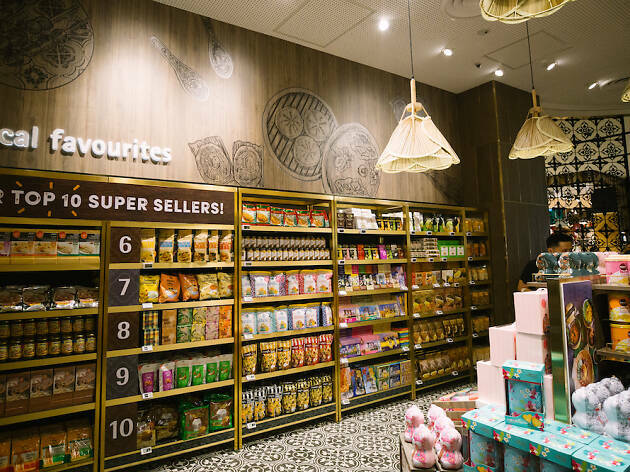 Yun Nans has over 150 outlets in China and is making Singapore, and Jewel Changi Airport, its first international outpost. The restaurant specialises in highland cuisine, as there are seven tropical belts in Yunnan, offering the region a diversity of ingredients you've probably never tried before. Yun Nans brings most of its ingredients in fresh from the province to make its signature dishes like the Steamed Pot Chicken Soup ($23.90), which uses steam and condensation to create a heady chicken broth best eaten with a plate of cold rice noodles, chicken, vegetables and egg tossed in a vinegary sauce. If you're up for a spicy challenge, get the beef stew in copper pot ($24.90), an intense beef broth filled with beef shin, tendon and offal peppered with a generous amount of chilli. No Singaporean mall is complete without a food court and Jewel Changi Airport delivers affordable and tasty options in spades at Five Spice. Operated my Food Junction, the space is decked out in modern art, colourful murals and Peranakan tiles to create a laidback dining experience. It features local heritage food brands like Boon Tat Street BBQ seafood, where you can pick up favourites like chilli crab and sambal stingray; Fu Xiang Treasures, which started out in a coffee shop in the 1990s and is now famed for its curry chicken and Guan Chee HK Roast, a brand with over 30 years of experience selling roast duck and other meats. 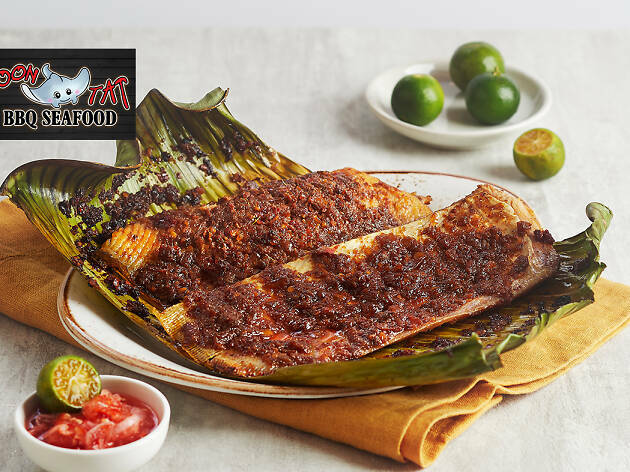 You can also find offerings from around the region such as KL Damansara Chilli Ban Mee and Padang Lezat by IndoChili as well as more modern offerings like Chen's Mapo Tofu, a spinoff from Michelin-starred Shinsen Hanten by Chen Kentaro. If you notice that most of the dishes here pack a punch, you're not wrong. Five Spice has an on-going collaboration with Anthony The Spice Maker, a local spice epicurean with 33 years of spice blending experience. He makes easy-to-use premixes that you can pick up and bring home to try recreating these lip-smacking dishes. This little kiosk by local brand Lee Wee & Brothers takes otah to new heights with The Coconut Collection. 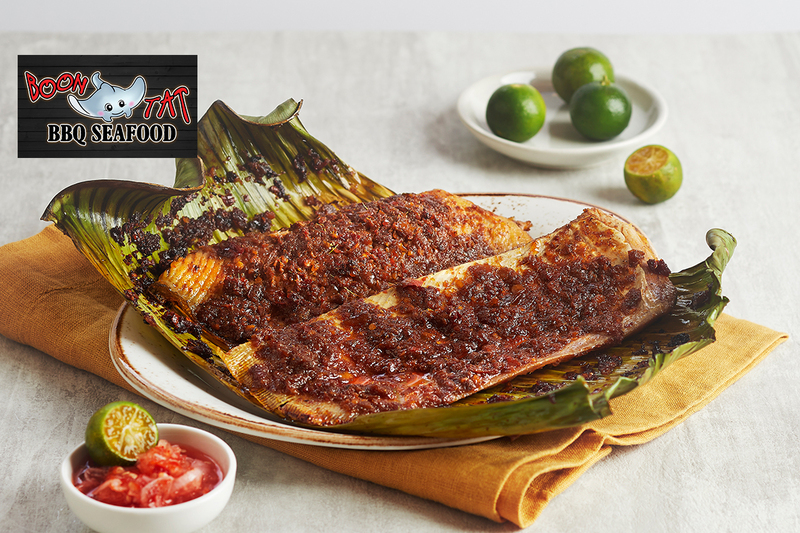 The brand takes its renowned homemade spice paste and peppers it with ingredients like pink salmon, scallops, cream cheese and corn as well as petai and anchovy to put a new spin on the local favourite. 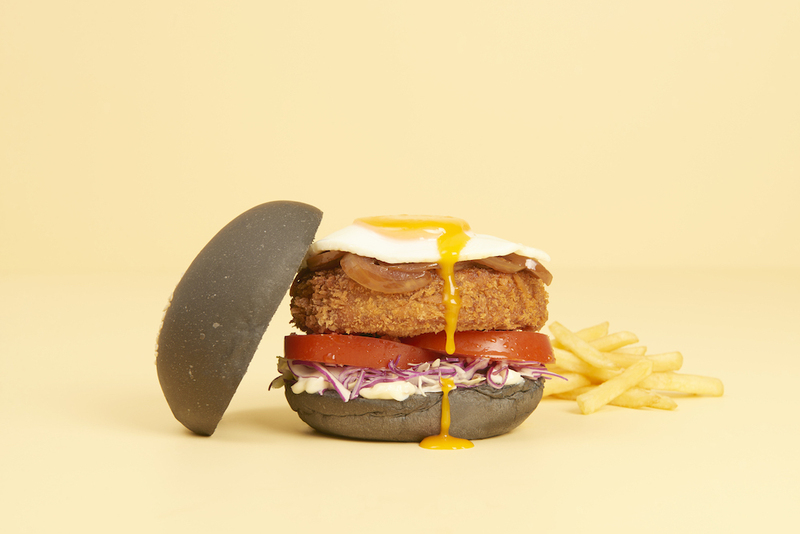 That's not all – you can also find O'tah fries with chunks of mackerel, pesto salmon with nasi lemak, and Ben’s Burger a towering creation of mackerel fish patty, tomato, purple cabbage, caramelised onion and a sunny-side-up egg on the menu. Not only is the Starbucks at Jewel Changi Airport the brand's first flagship store in Singapore, it's also the largest. 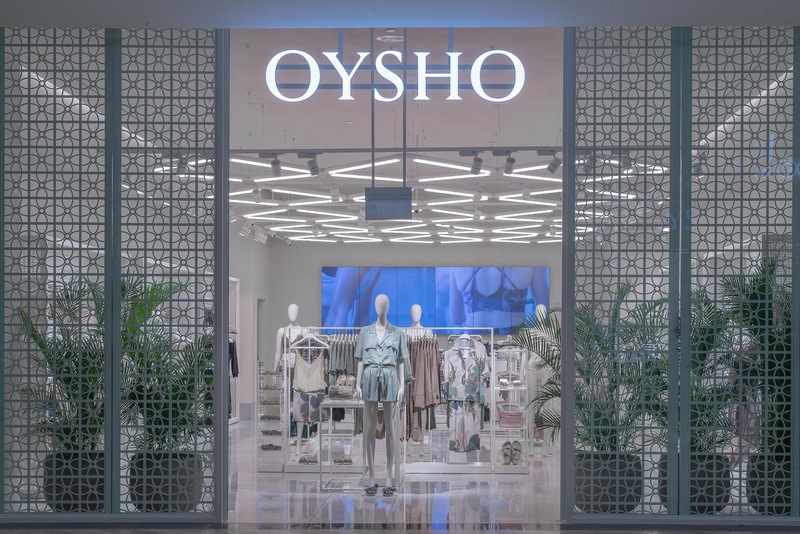 Occupying two storeys, the outlet celebrates the journey the brand has taken in Singapore thus far, with art that highlights both the brand and local elements. If you love studying at Starbucks and the airport, this massive space offers free Wi-Fi, plenty of seats and power plugs alongside a wide selection of flagship-exclusive drinks and treats. Sample locally inspired offers like Hainanese chicken rice quinoa salad, satay chicken ciabatta and Milo tiramisu. Or if you want to stick to coffee, the store offers cups made through manual brewing methods like the Chemex or siphon brew. 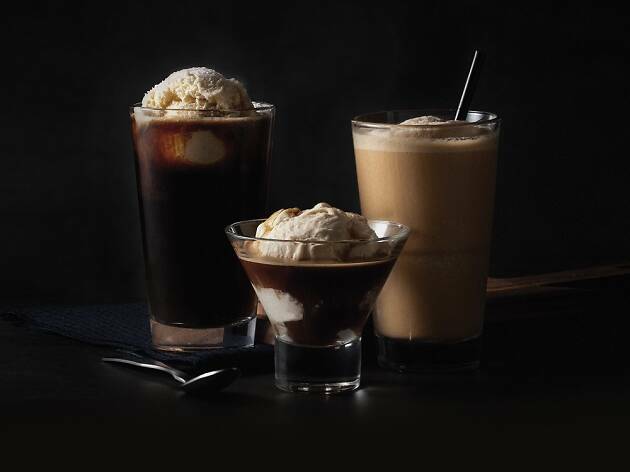 For something more refreshing on a hot day, check out what's on offer at its four-tap nitro bar. 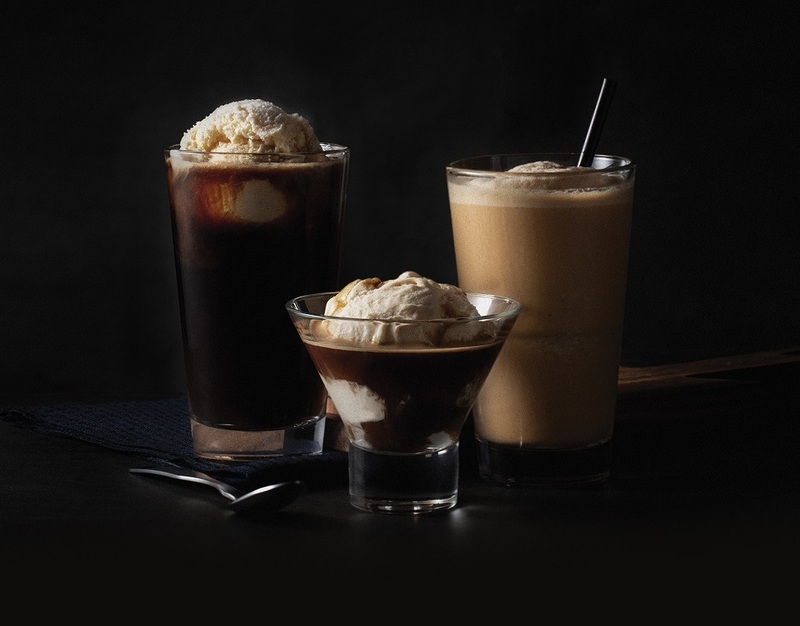 Favourites include the nitro flat white, nitro caramel macchiato and nitro green tea, which we dare say are smoother and richer than their hand-brewed counterparts. Yet another beloved global F&B brand makes its Singapore debut at Jewel Changi Airport. London's Burger and Lobster opens in June 2019 at Canopy Park on Jewel's topmost floor, offering stunning views of the Shiseido Forest Valley and the HSBC Rain Vortex while you dine. 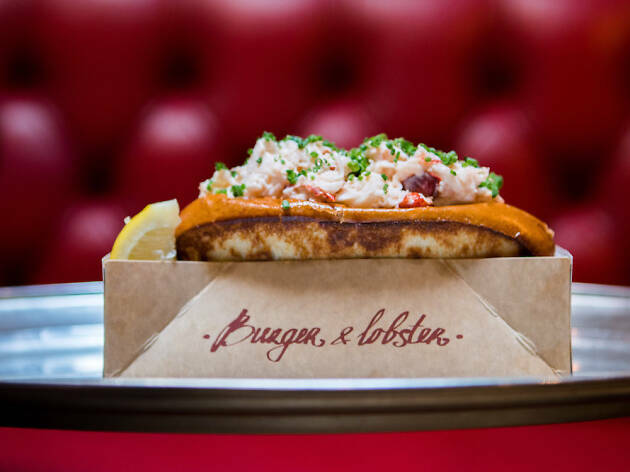 Crack into its signature lobster platters – live lobsters from Nova Scotia, Canada are steamed or grilled and served with a side of fries and garden salad. 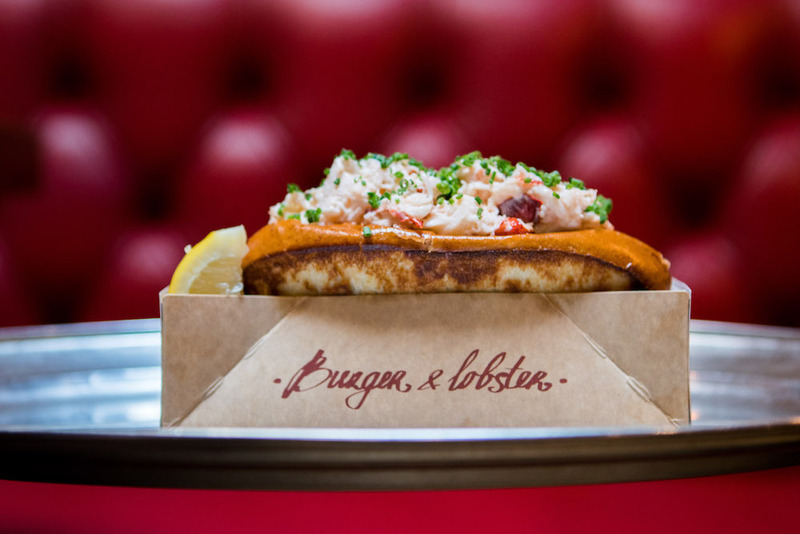 or grab a bite of its Nebraskan beef burgers and lobster rolls. 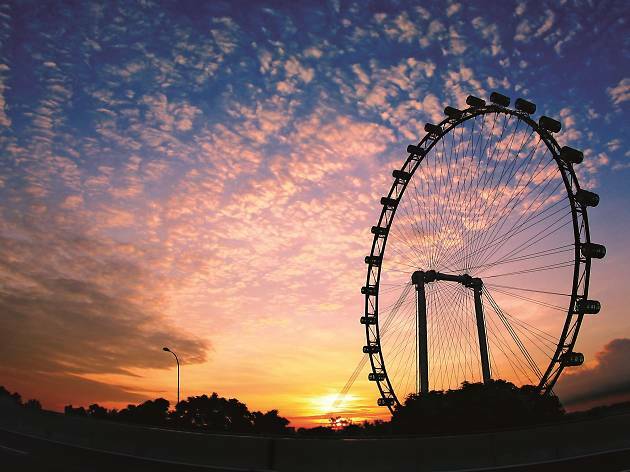 It also plans on rolling out new Singapore-exclusive dishes so keep your eyes peeled for more information. 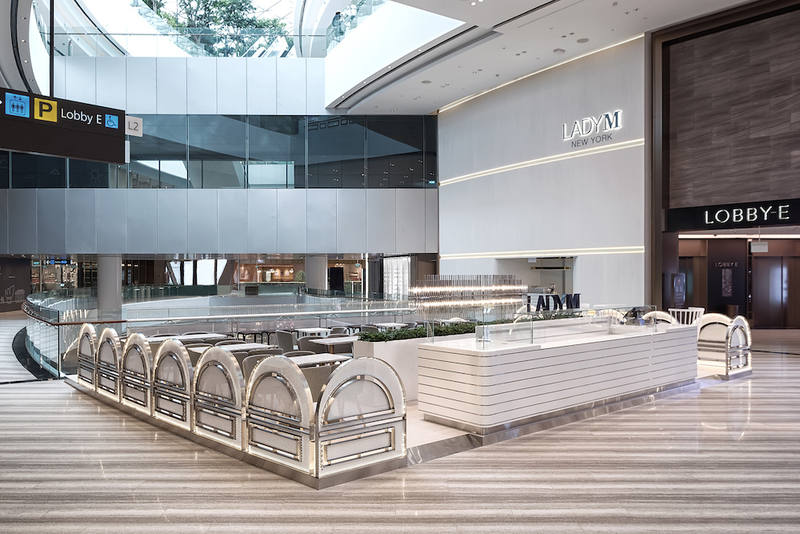 Watch the world (and Changi Airport's Skytrains) go by at Lady M's fifth local outlet. The spacious café is located along the mega-mall's wide walkway, making it an airy and open space ideal for people watching as you dig your fork into its signature mille crêpes. It also debuts its revamped savoury menu in May, offering bites like crab salad on toast, cauliflower soup and chicken and pesto sandwiches. Bring a slice of Lady M home with you, no matter your destination. The Jewel Changi boutique sells frozen mille crépe cakes as well as exclusive bon bons. There are over 23 different types available, including cocktail-inspired gummies like the Gin Tonic Casino as well as flavoured nuts and chocolates like the Cognac Orange Liqueur Chocolate. The bon bons come packed in sets of three, five and eight, and each box depicts the iconic architecture of different cities: La Mansarde (three-pack), Paris’ Haussman-style architecture; The Brownstone (five-pack), New York City's townhouses and Qing Zhuan Dai Wa (eight-pack), Beijing's traditional hutong homes. Click here for more places to dine at Jewel Changi Airport. With pastel-coloured walls and high ceilings, what draws you in the store is how much it looks like a museum. 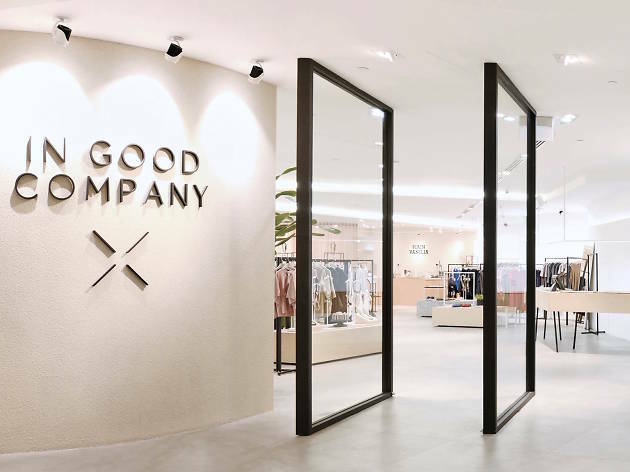 In Good Company offers visitors a retail experience beyond just clothes. 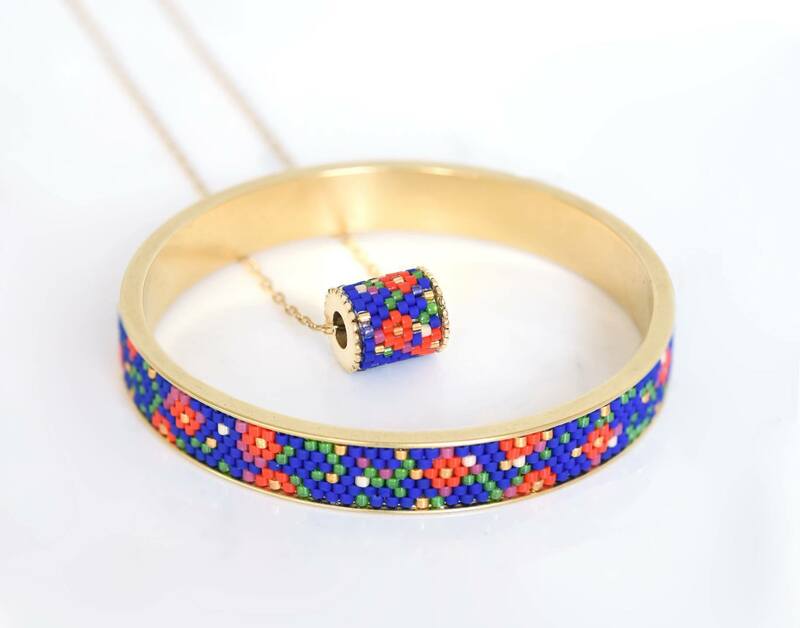 The curated collection includes their womenswear, menswear and children's wear which is known for its timeless silhouettes and quality fabrics; and also books, accessories, scented candles and chocolates. When you're done with shopping, grab a scoop from ice-creamery Birds of Paradise known for gelato created from herbs, spices and botanical ingredients. Think flavours like Masala Spice and White Chrysanthemum. The first centre to open outside Japan, the Pokémon Center Singapore is an exact replica of the original. 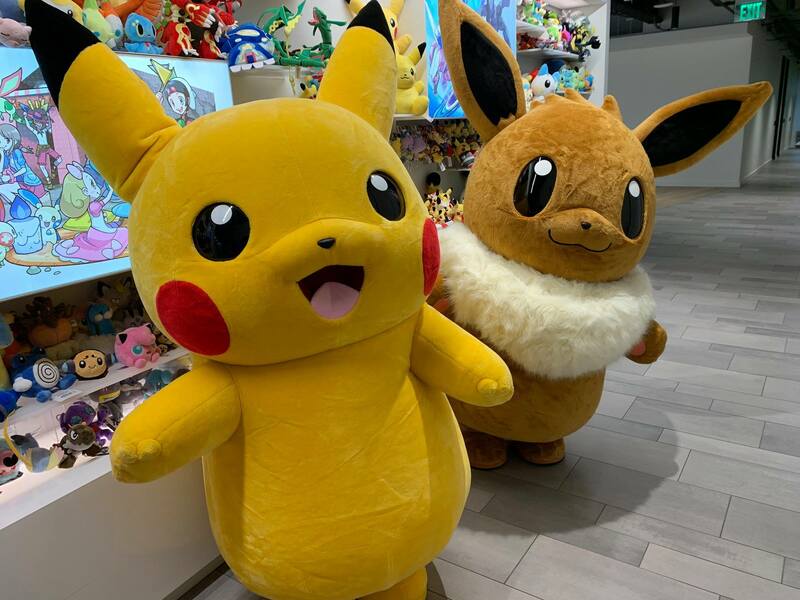 The centre is a specialist store for all things Pokémon and where to collect 'em plush toys, video games, trading cards, Pokémon apparel and other official merchandise. The store in Jewel Changi Airport also stocks Singapore-exclusive official merchandise which you can't get in the Japan store. Gone are the days of tacky souvenirs and cheesy airport gift stores. At Gift by Changi Airport, it's all about thoughtful gifts. The wide range of specially curated travel lifestyle products celebrates the best of Singapore and also Singapore's creatives. 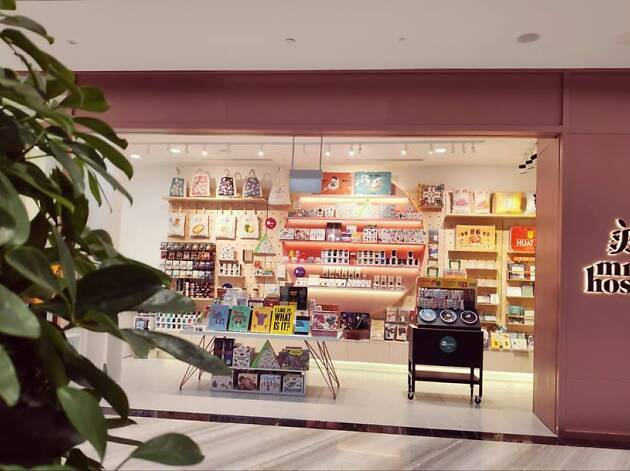 Find exclusive Changi Airport candles by local makers Hush Candles, Peranakan-inspired jewellery by Eden+Elie, bags and purses from Gnome and Bow and more. From exclusively designed items to travel products which evoke a sense of wanderlust, shoppers will be left spoilt for choice to pick a gift for their family, friends or even themselves. Just another shoe store in town? Not quite. 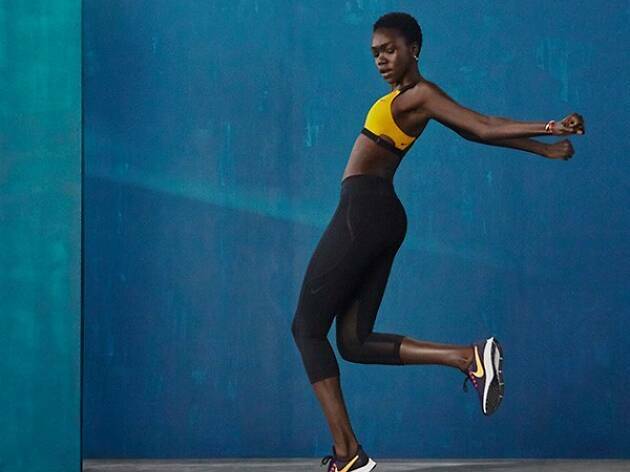 For the first time in Southeast Asia, Nike will feature its full product showcase across all sports and lifestyle categories, right here at the Jewel at Changi Airport store – which is why the store is also the largest one in Singapore. 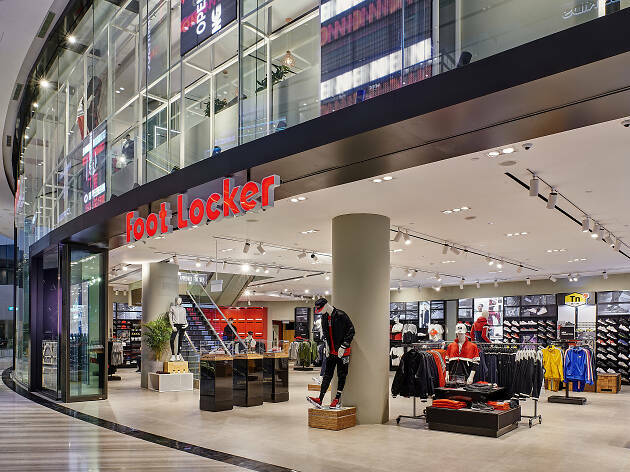 Both like a Nike museum and store, fans of the brand can browse through the huge collection of footwear, apparel and accessories for your running, cross-training, football, basketball and other sporting lifestyle needs. 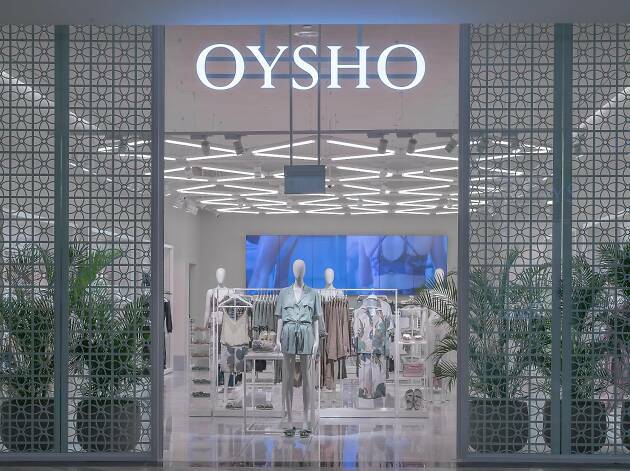 Offering sleepwear, lingerie, gym wear, beachwear, footwear and accessories, Spanish retailer Oysho celebrates feminine sophistication and also comfort, which you can see in its collection and the fabrics used in the apparel. 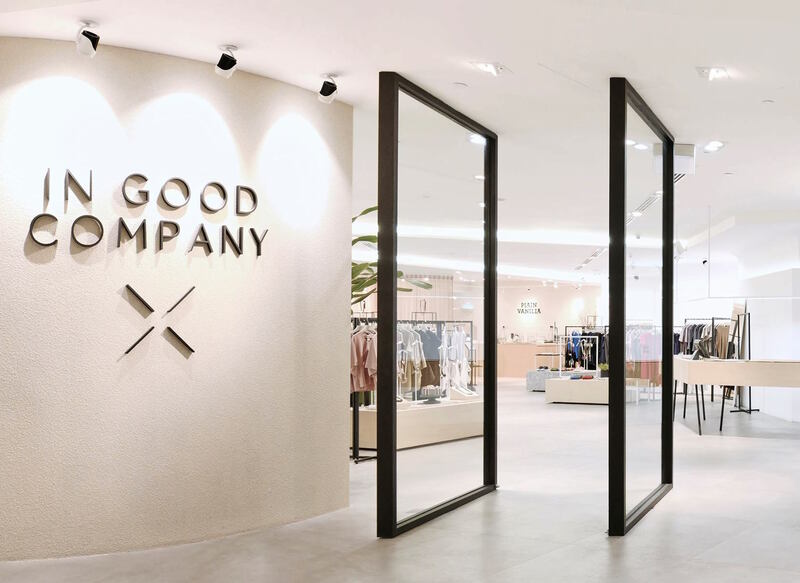 The concept store in Jewel Changi Airport is also the Singapore flagship outlet and is designed to create a warm and open atmosphere so you can shop in clarity and ease. Going to a shoe store doesn't always have to be about shopping for your next pair of sneaks. 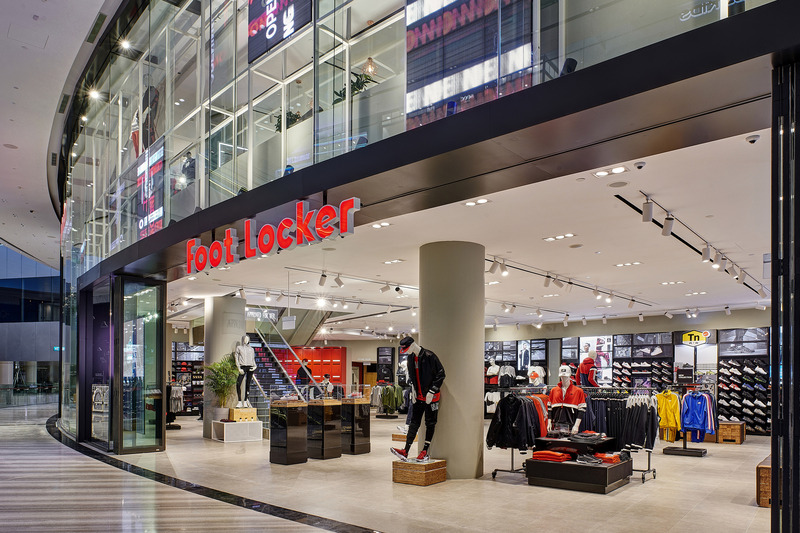 At Foot Locker in Jewel Changi Airport, you can shop in the largest outlet in Singapore and also enjoy a few extra perks in the store. Ladies can take a breather from retail therapy and get a manicure in-store before snapping a couple of selfies at the selfie mirror. On the first floor, you can squeeze in a gaming sesh at the Xbox arena. When it comes to celebrating sneaker culture, no one does it better than Foot Locker – it's not just about the shoes, it's a lifestyle. 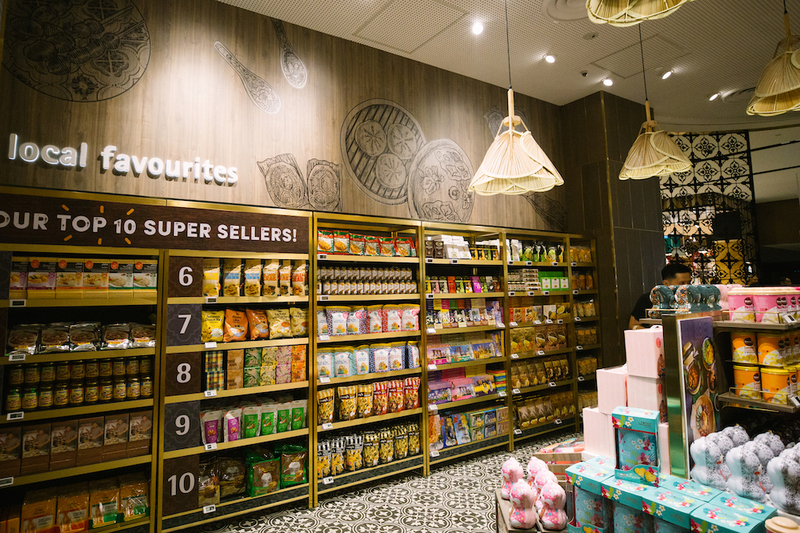 Located at basement two of Jewel Changi Airport is Singapore's leading grocer, NTUC FairPrice Finest. The store caters to both locals and tourists and is well-stocked with everything from everyday essentials and foodstuff to premium products and international gourmet items. The outlet is designed in collaboration with Superunion, a creative brand agency that made the space more than just a grocery shop. 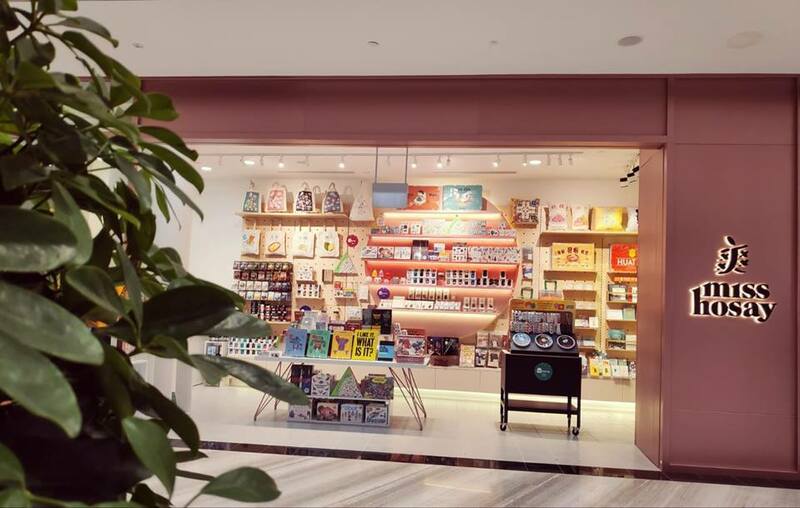 It's filled with more experiential and local elements like Peranakan-inspired illustrations and tiles as well as illustrations by Singaporean illustrator, Charmaine Tan. 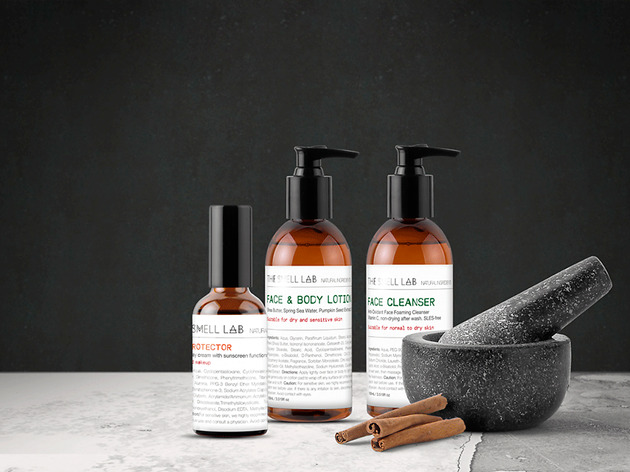 Crowds can be disorienting sometimes and if you're going to be gallivanting around Jewel Changi Airport, a quick stop at The Smell Lab can be quite therapeutic. Take some time to indulge in an evocative sensory experience, while also picking up some items to go. 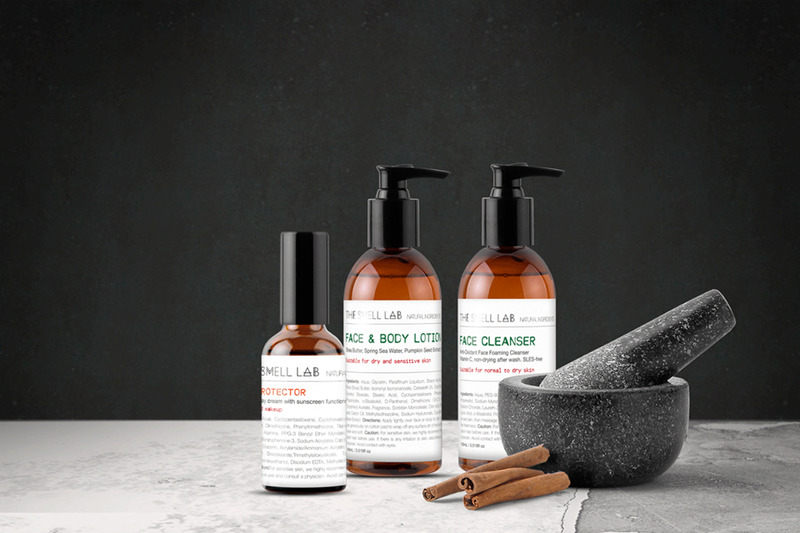 Sample the scents and products in the range or try out the DIY lab space where you can make your own bespoke scented product. They say you should surround yourself with things that make you happy – at Miss Hosay, only things that make you feel good are stocked in the store. Find interesting things like illustrated maps, colourful reusable coffee cups, PVC tote bags that look like teh and kopi peng and more for gifting or to keep for yourself. 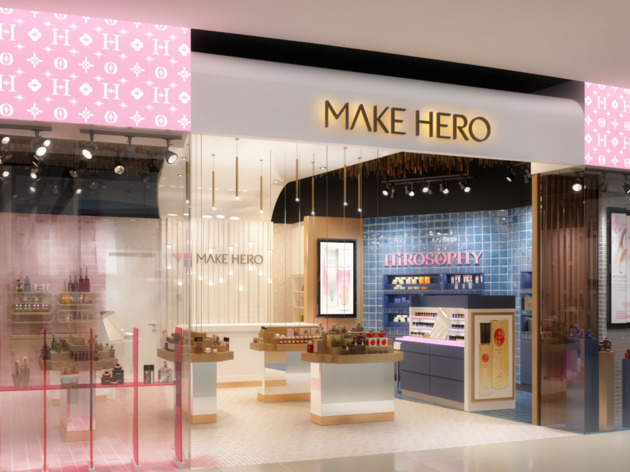 A joint-venture between health and beauty brand distributors Make-Up Inc from Osaka and best-selling beauty brand Hirosophy from Tokyo, Make Hero lands its flagship store in Singapore. If you're a fan of Japanese beauty, browse through next-gen Japanese skincare, beauty and health items like caviar masks, placenta hair tonic, stem cell cream, natto supplements and various fragrances. 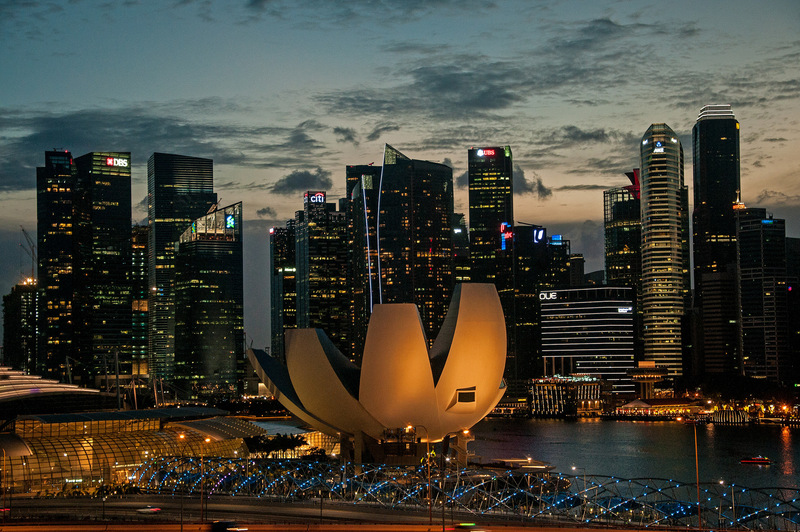 Click here for more places to shop at Jewel Changi Airport.